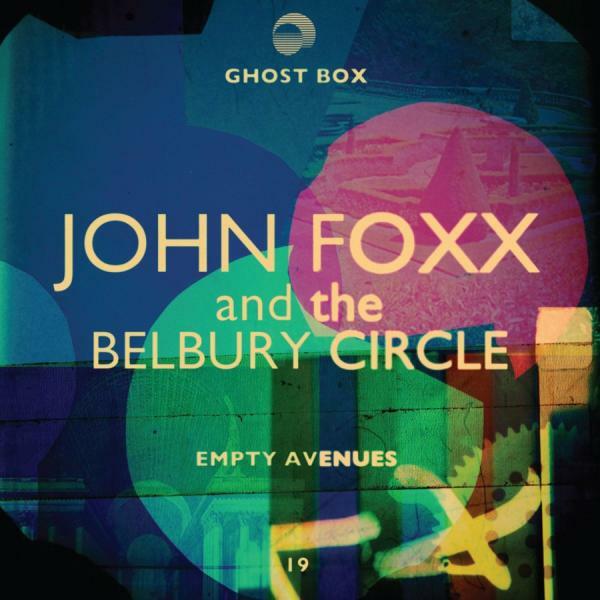 John Foxx’s second collaboration of 2013 was with the Belbury Circle, resulting in an EP, Empty Avenues. The warm vintage synth sounds sit somewhere in between the old music for the BBC's Tomorrow's World and Jean Michel Jarre's Oxygene, giving the music an authentic late 1970s vibe, while John's dreamy lyrics and vocals are comfortably in the mould of albums like The Golden Section and The Pleasures of Electricity. That old grey suit crops up again, as do the familiar scenery of European architecture. Foxx is right at home with the musical approach of The Belbury Circle (namely musicians Jim Jupp and Eric Zann). Although the lyrical themes are more than familiar, the songs on Empty Avenues easily rank as some of the best of Foxx’s career. Autumnal and emotive, both “Empty Avenues” and “Almost There” are catchy as hell. A semi-instrumental track, “The Right Path” follows, providing a sublime interlude between the lyrical tracks. Foxx dusts off his old grey 'Quiet Man' suit for the aptly-titled “Suit” before returning to a bit of psychedelia with “Time of Your Life”. The EP finishes with “Empty Avenues and Dark Corners”, a darker remix of the title track, and it’s all over too soon. To put it simply, Empty Avenues is a beautiful piece of work; small but perfectly formed – an essential listen that no Foxx collection would be complete without.